My mom is up and moving away. 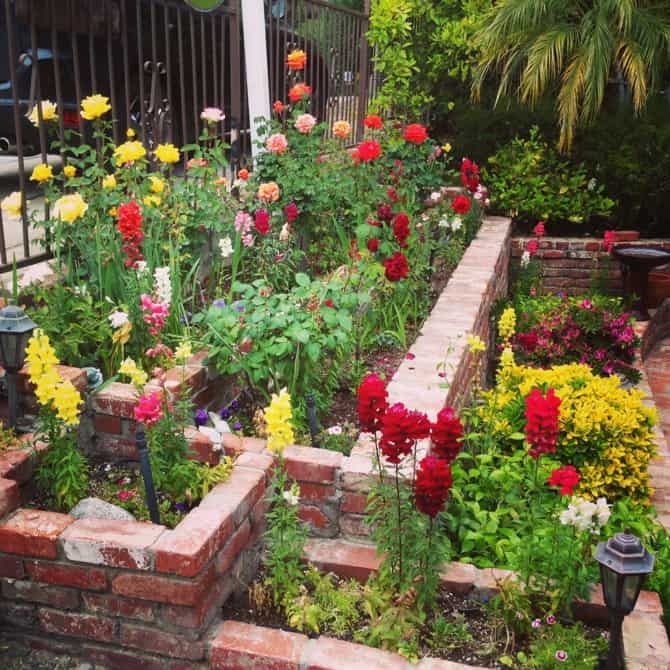 I will miss her ever-changing flower beds the most, she calls it her “english garden”…aren’t they gorgeous? 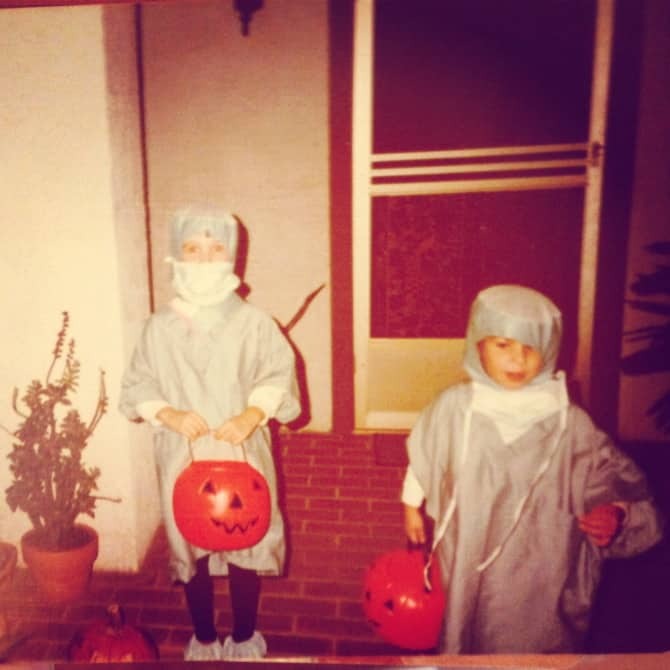 She’s moving to a beautiful beach community hours up the coast to retire in peace after 35 years of nursing in my hometown of Pasadena. We are going to miss having her local, especially Scarlet, but we are looking forward to spending some quality time vacationing together for weeks on the Pacific this summer. While I was packing up my childhood bedroom, my mom invited me into the special cabinet… the one I was never allowed near as a kid, filled with family heirloom china and all those magical beautiful fragile things that fascinated me back then and now. Then she gave some of it to me! It’s all so neat, I thought you might like to check it out. My absolute favorite? 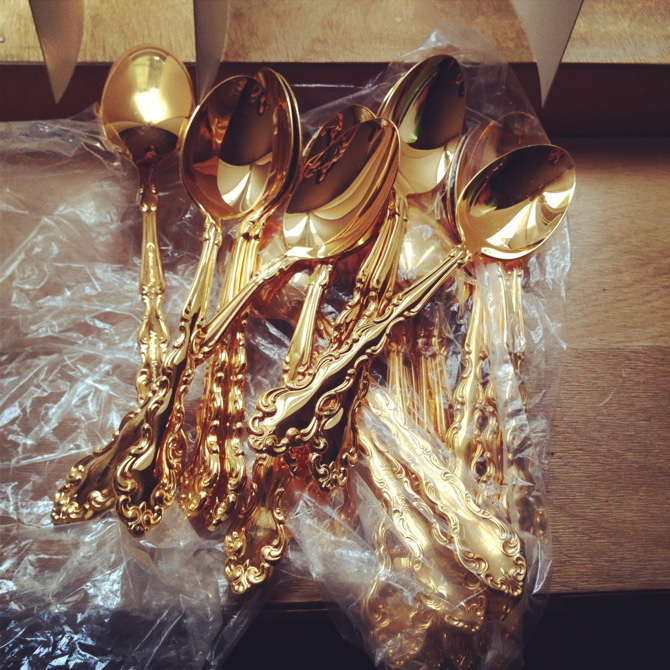 This gold flatware. It’s five piece serving sets for 16. Isn’t it stunning? I’d like to eat with it maybe on the holidays, but how would I clean it? I don’t imagine you put gold in the dishwasher? 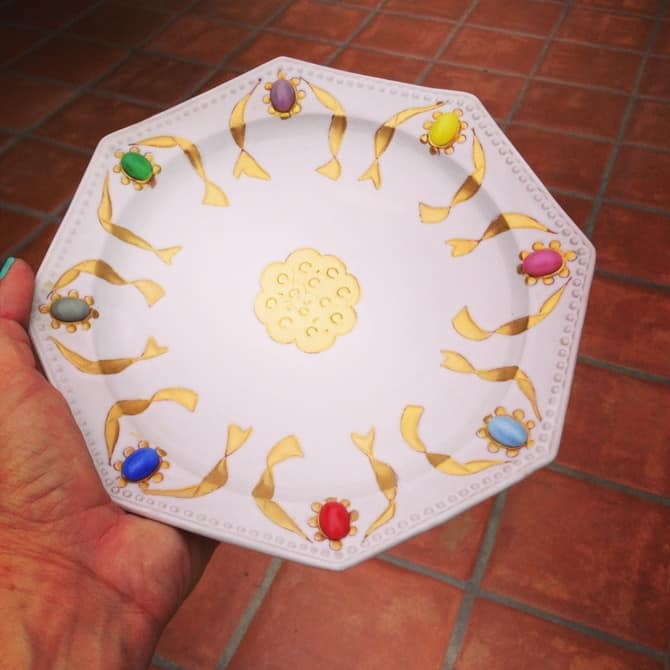 This set of 12 bejeweled Italian dessert plates from the 60’s is just perfect. 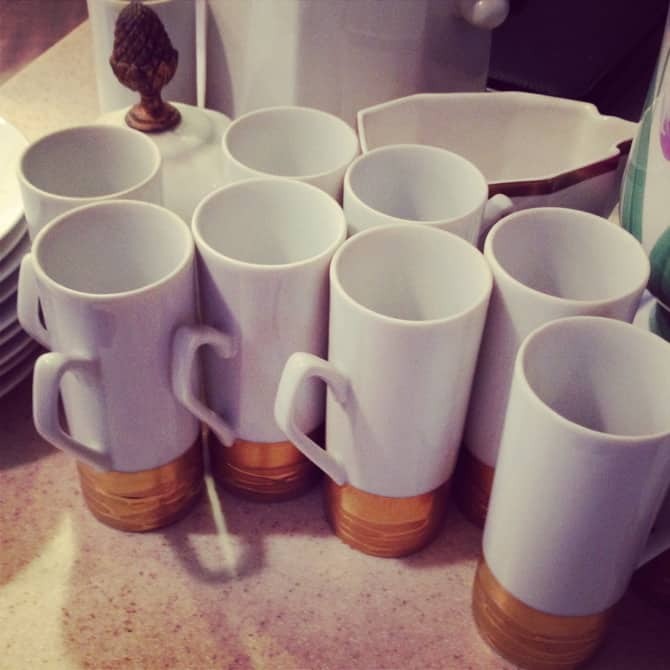 And these matching gold plated coffee mugs come with a stunning coffee pot that plugs in and percolates the coffee. 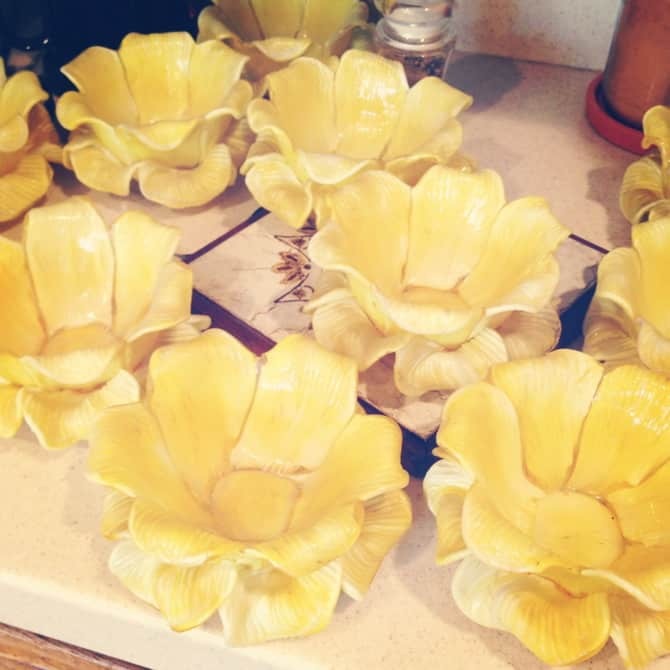 I can’t wait to serve a beautiful salad in these bowls, I’m thinking maybe a waldorf or fruit salad would be the way to go? What would you serve in them? 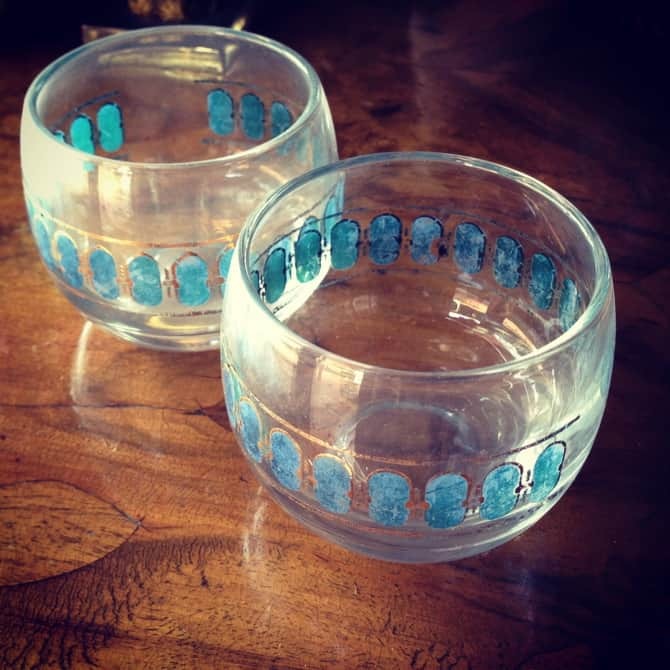 My parents always had a beautiful bar set up, with decanters on a fancy bar cart and these amazing glasses, that come in three different silhouettes in sets of 12. I think they are the most perfect pattern one could imagine drinking from. 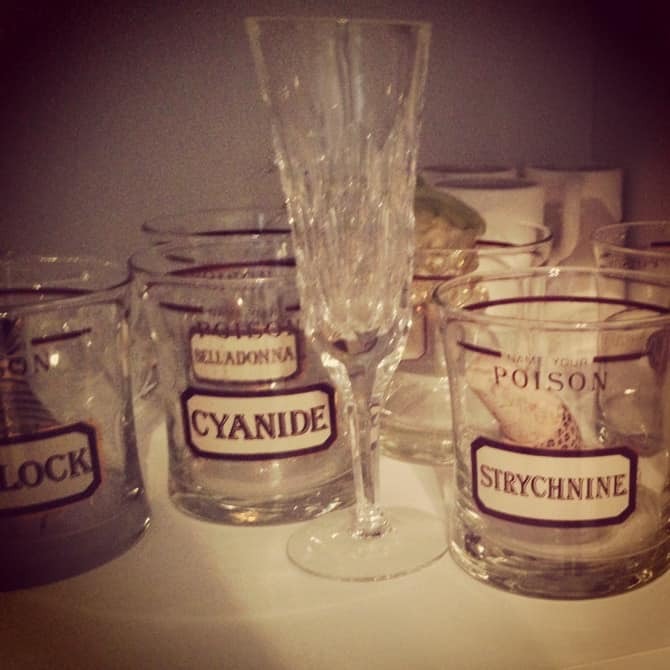 And these pick-your-poison glasses are a lot of fun, right? 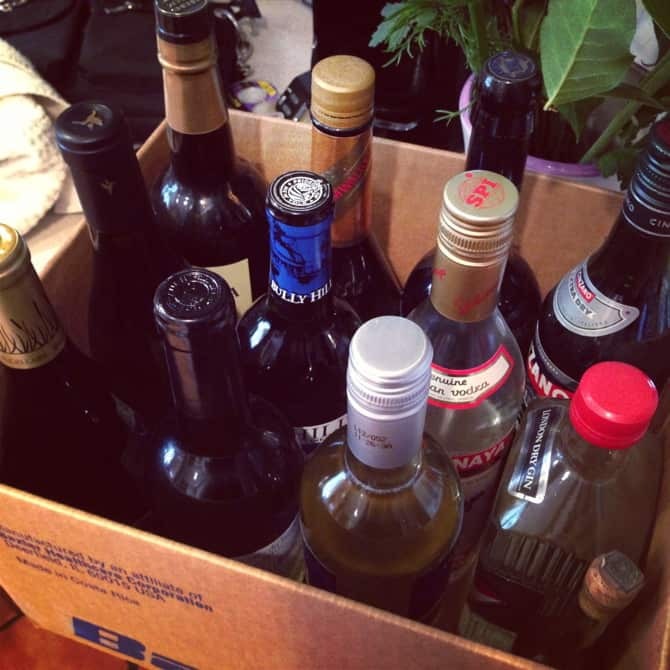 Mom also let me raid the liquor cabinet and wine closet. Creme de casis anyone? These are so fascinating. If you already saw them on facebook, don’t give away the secret! Can anyone guess what they are? Here’s the deal, they came as part of my mother’s 1968 wedding china. You place one flower and one leaf between each place setting. I’ve never seen anything like this before and I doubt I ever will again. I have 6 of them now, which is service for 12. Guess what they are in the comments! 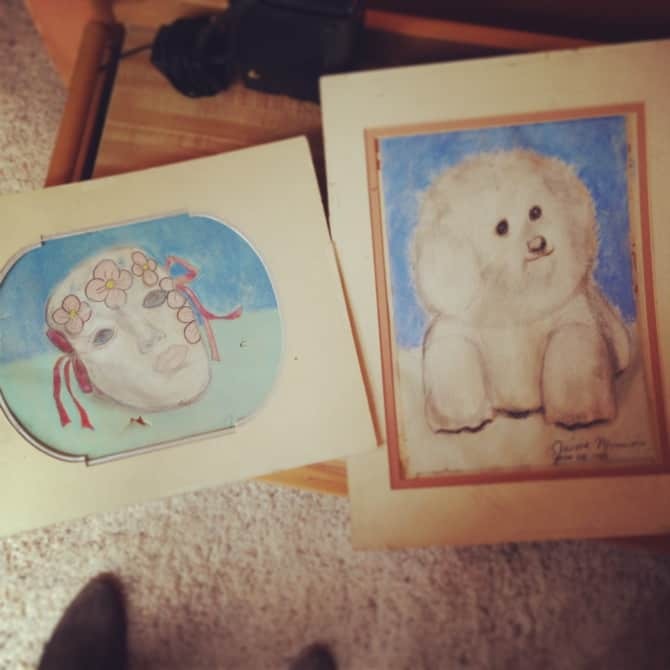 …some of my childhood drawings of my favorite mask my mom brought me from Mardi Gras and my first dog, Fluffy. Fluffy was a great dog. 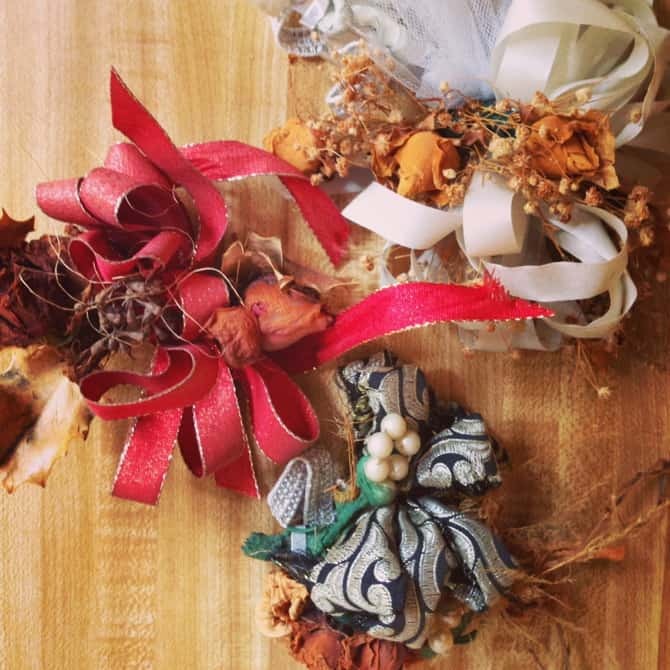 …20-year-old dried corsages. These I let go as they crumbled when I touched them. 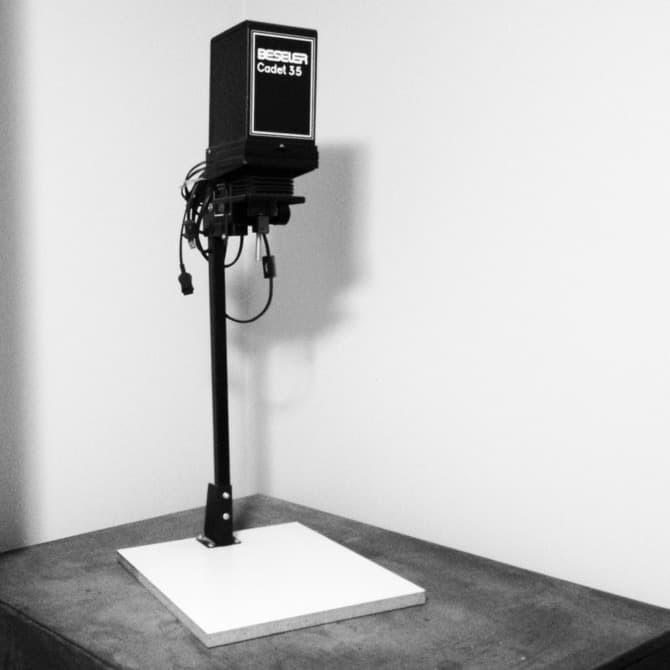 My enlarger for black and white photos. My mom was so awesome to support my desire to learn to develop photos and help me set up a dark room. Time well spent, ha. Should I hang on to this? Will it ever be useful again? Will this skill become a cool thing to know when Scarlet is older? Doubtful, huh? 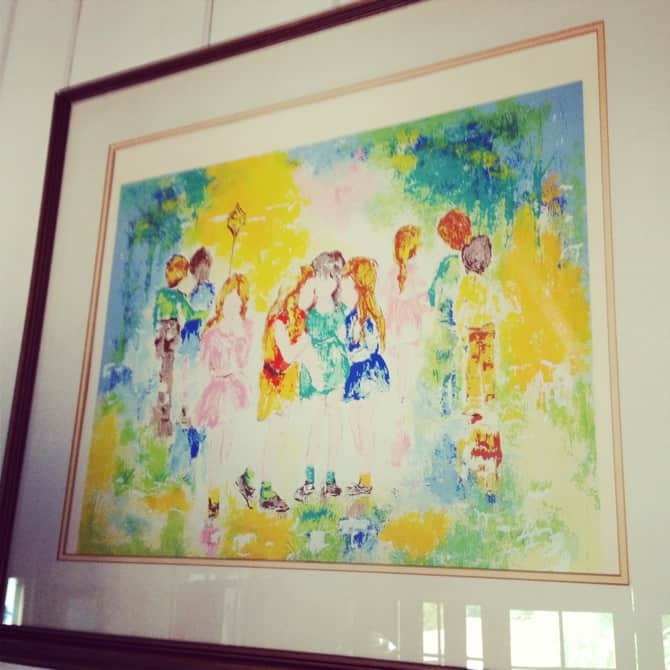 My mom has a collection of paintings by this artist whose name escapes me. My big brother requested them, but I had to snap a picture of this one because I love it so much. Seems like it would fit right into a modern home today. So that’s my vintage score from my mother’s house. I am so sad she is moving away, but I am glad she is going to get the rest she deserves, and so thankful she, Scarlet, and I had the experience of sharing these things now. 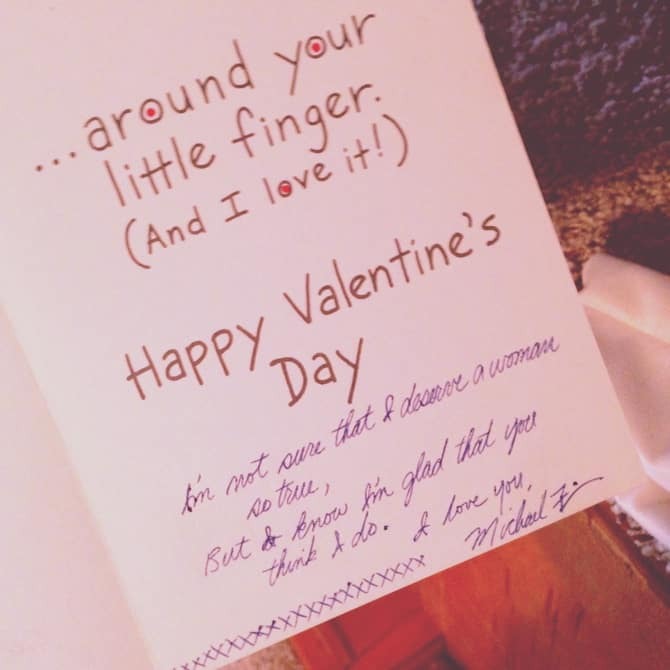 I love you mom, and thank you! What amazing treasures! I love them all! My MIL has the same gold flatware. We use it for holidays and family gatherings. We wash them by hand and make sure to dry them well with a soft cloth before returning them to their box to make sure that they stay nice and shiny. I’m really curious about those china things that go between your place settings. You must tell us what they are for. Oh, I want to guess what the mystery items are! I would guess salt and sugar servers, but one of them has a lip on it, so I’m not really sure. I can’t guess what the flower is for but the leaf looks like a bone dish. Do you put olive pits in the flower? 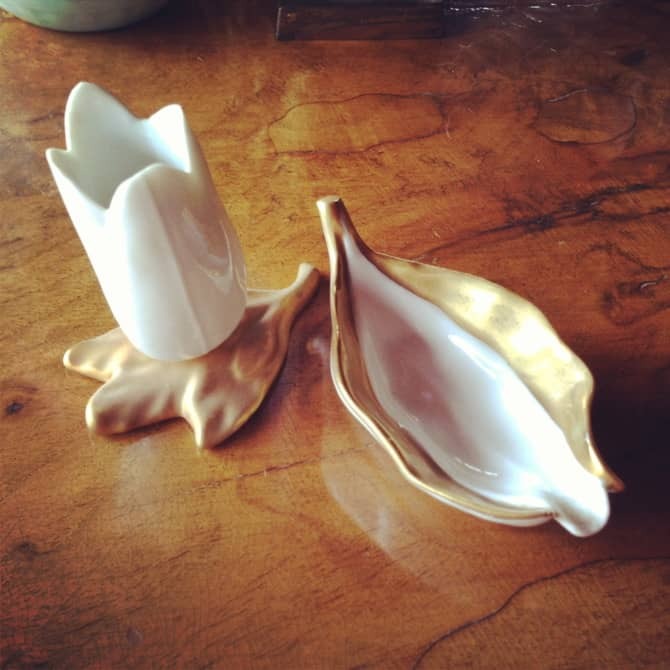 Salt and pepper dishes?? Or one a fingertip bowl for water? What great treasures! I had those name your poison glasses! Got them when we got married in 1976. I must’ve given them away at some point! Too bad!! !